Sometime ago the disscussion about the train with Eduard's Hasegawas 48 kit's reboxes get the off-topic . Will the Eduard's do something, same way - but with 72 scale? 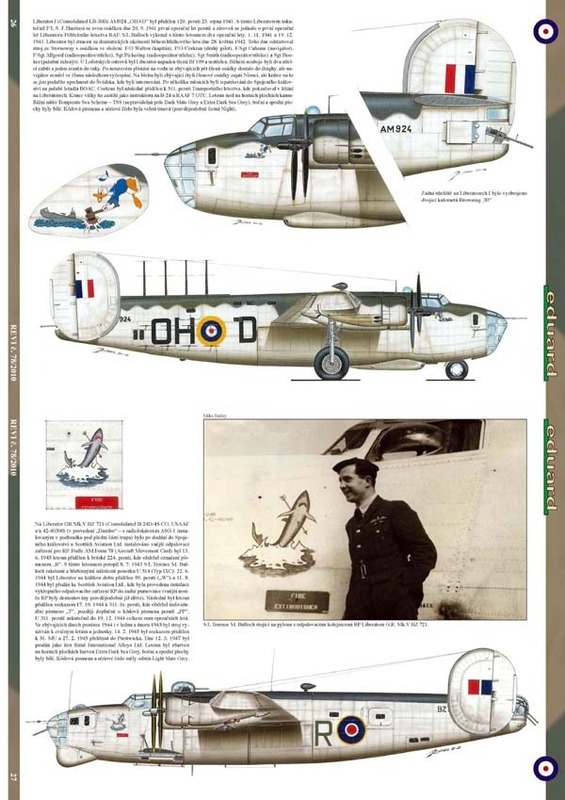 The Coastal - Commands Liberators are big and iconic symbol for the Czech Units fightings alongside RAF. So. The LE Consolidated B.24 Liberator by Eduard is considered /set to release in 2017. E-day, but you know how it goes! Worth mentioning - this is no a new research subject for the Eduard - see the screen from czech Revi Magazine no.78. And of course previously released B-24kits done by Eduard too. Yep. the src was Academy. My hope and prayers? Moar! Like 1/72 SBD "Dauntless" for example - rare bird even on Ebay.